Baltimore, MD -- The Susan Cohan Colon Cancer Foundation, Inc. (“Susie’s Cause”) is thrilled to present rising star singer-songwriter Sarah Jarosz and old-time bluegrass stalwarts Seldom Scene at its Bluegrass-Folk Festival on Saturday, July 30, 2016, at Oregon Ridge Park in Cockeysville, Maryland. The legendary bluegrass superstar set to headline this second annual event will be announced on May 30. The Stray Birds, Mipso, Tim and Savannah Finch with the Eastman String Band, and the Ken and Brad Kolodner Quartet round out the bill of this year’s festival, all proceeds of which will benefit Susie’s Cause, the Baltimore-based national nonprofit foundation dedicated to colon cancer prevention, treatment, and support services. 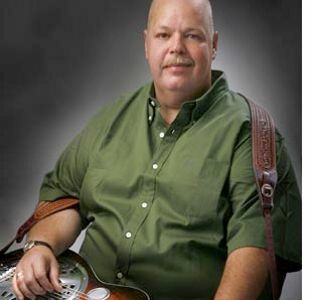 Bristol, TN/VA -- Founding member of the fun filled bluegrass music group, The VW Boys, Dave Vaught is in need of your support to fight a recently diagnosed illness. Dave is a professional magician who has brought joy the literally tens of thousands of people,especially children over the past three and a half decades. As a musician with the VW Boys, he brings more joy with his singing and guitar playing. He has worked extensively in the public school system with the "Dare Program" to help fight drugs with our youth. Now, he needs your help with the costs of his expensive medical costs. Nashville, TN -- Nashville-based Thinking Bee Productions in conjunction with Mountains of Hope (West Virginia's Comprehensive Cancer Coalition), has produced a series of Public Service Announcements featuring Country and Bluegrass Music star Kathy Mattea. The PSAs were created to raise awareness of the importance of Colorectal Cancer Screenings. Although death from colorectal cancer is highly preventable, it remains the second-leading cause of cancer-related deaths in the United States. The incidence for colorectal cancer (1993-2003, per 100,000 population) for men and women in West Virginia was 70.9 and 51.9, respectively. For these reasons, colorectal cancer is one of the Coalition's top priority areas.